Autistic individuals thrive with routines, as parents we know this to be true. For Sweet B, that means having as predictable of a schedule as possible both at home and at school. So when I first had the genius, or maybe not so genius, idea to start an afterschool program at home for her; I really wasn’t sure how she would take to it. Added to that, I had no set plan which was almost setting me up for failure. Though we’ve taken a break from it this year (2015/2016), I am planning ahead for next school year. One of the most important things that I’m going to do is set a budget so I know how much I have to save. 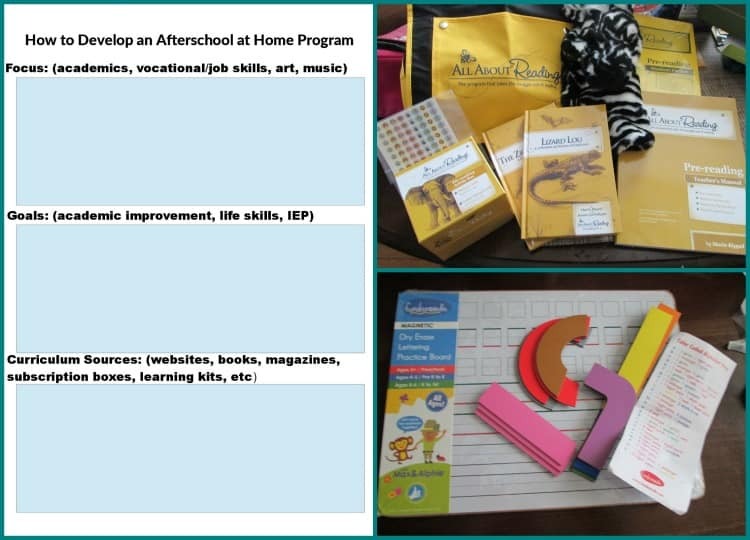 Here’s our plan for how to develop an afterschool at home program for an autistic child. For starters, I will be incorporating my newly made planning worksheets. I like to plan and when I plan, I tend to have more success. And even when I don’t have the anticipated success; I can at least look back and potentially see where I went wrong. Win-win, right? What are we focusing on? For Sweet B, I’ll pull from her IEP goals for academics but also look at possible vocational/job skills that she could use in the future. I’ll also talk to her classroom team at the beginning of the year so I can get their input on how to incorporate fine motor skills and academics. The goals/outcome from our afterschool at home program will depend largely on the focus. I’ll revisit this every quarter to evaluate progress and see what needs to be adjusted or removed. I want this to be enjoyable for both of us and if it means reducing the program, we’ll do that. Next, and this is where the budget thing comes in, I’ll consider potential sources for our afterschool at home curriculum. While it won’t be formal and I doubt I’ll need to purchase a boxed curriculum program; I know that I can develop one for her. For example, the printable packs at 3 Dinosaurs are an excellent resource. Her Community Helpers pack, for example, could great in September or October if we do a theme on our neighborhood or safety. 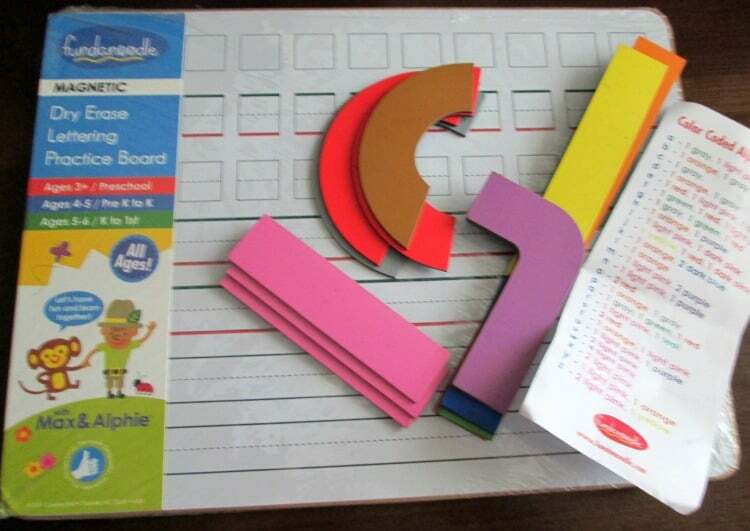 I also make my own printable packs and depending on the direction we take with Squeaker and Tot School next year will also factor into what we do with the afterschool program for Sweet B. To start, however, I’m going to evaluate what’s worked for us in the past and go from there. The foundation for our past program was All About Reading. All About Reading provides a multi-sensory experience for readers of all levels. 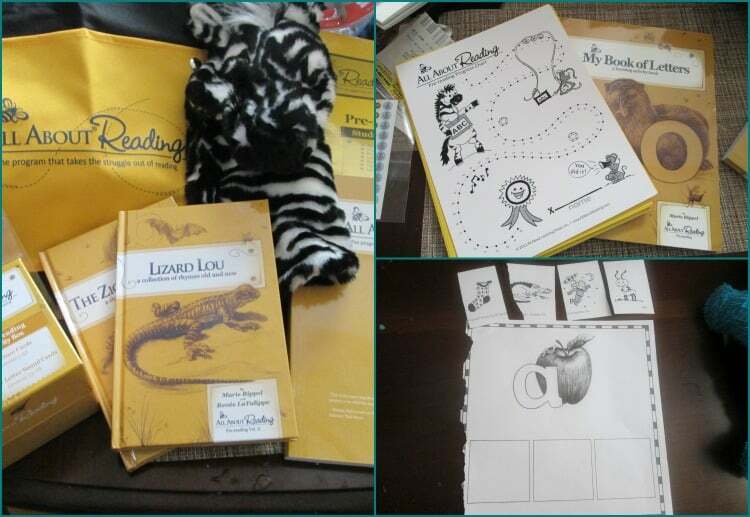 We have the pre-reader kit to help Sweet B with early literacy skills that she still hasn’t mastered just yet. I can also develop printable packs and worksheets for her that meet her IEP goals and/or are based on themes and topics that she’s working on in school. To supplement the core of the program, we’ll pick a subscription box to work with. I love the convenience of subscription boxes and the two that we had the most success with were Little Passports and Kiwi Crate. Though I would encourage you to look into any and all possibilities for this. 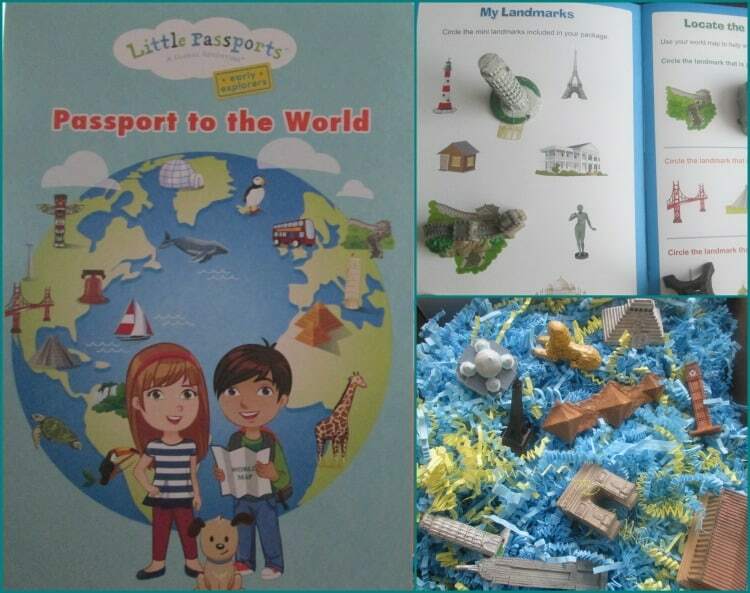 With Little Passports, we went with the Early Explorers program though for next year, I’m considering the World Edition or maybe the USA Edition for Sweet B. I think that she might have fun with it and I can create additional activities and crafts to extend through to Tot School with Squeaker. We’ll see what happens though! For us, Kiwi Crate went over really well because of the crafts. It was right at Sweet B’s skill level and she was able to complete the crafts mostly without my help. Another aspect that I had with our afterschool program was to work on fine motor skills and writing practice. I had considered using Handwriting Without Tears for this but ended up going with Fundanoodle instead. Either that or I’ll start looking into more Montessori based letter work as that’s what I plan to use for Squeaker. Either way, something that’s both hands on (tactile) and visual, works best for Sweet B. So that’s what’s going into our afterschool program- or at least I think that’s where we’ll start. These plans are subject to change and I do have until September to make up my mind! Still, the sooner I can start planning the better. I also want to plan a Bible study curriculum for her but we’ll probably only do that once per week. Once I get around to it, I’ll also have sheets that are dedicated just to the evaluation/re-evaluation process. If you’re planning to do an afterschool program at home, let me know! I’d love to see how you set yours up. I’m glad you are able to Afterschool her! We’ve had a great time for a few years doing activities together. It was work in the beginning but, now things run smoothly. Our plans have become a life style habit of reading, practicing, discovering, and experimenting. I hope your plans with her yield met benchmarks and uber amounts of fun!! !